oops! I make mistakes too. 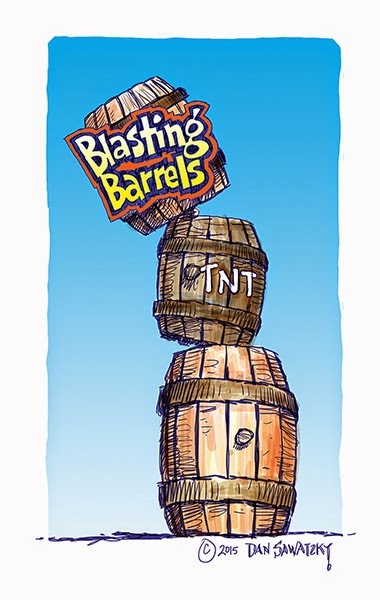 The artwork for the Blasting Barrels sign was done months ago. 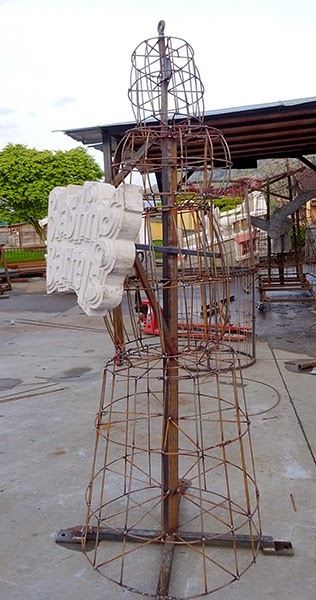 A second sign which is mounted to the ride was to be built by the ride manufacturer in Italy and the owner ordered that sign spelled with a dropped ‘g’. I got the memo to change ours to suit but promptly forgot. When it came time to create the file to route the sign I looked at my original artwork and then set to work. The framework was welded and the sign routed, glued and mounted before the mistake was caught. The owner told me to just grind off the ‘g’ but I couldn’t do it. Instead I built a new file and redid the sign. This is much too cool a project to compromise on quality. Yesterday we mounted the new sign and finished the sculpted concrete. 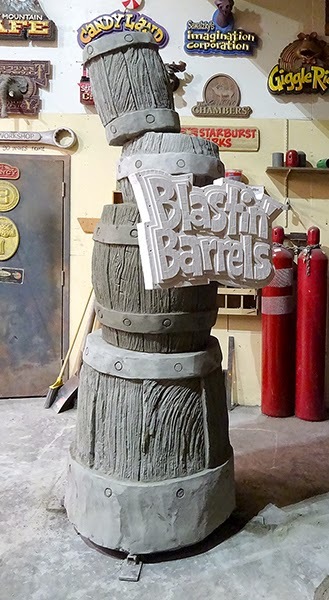 I’m in the process of sculpting three stacked sticks of dynamite for the top of the sign and then it will head into the paint department.